The Cigar Flavoured E-Liquid is made by combining some of the renowned cigar variations that you can find all around the world to give it an extremely enriching fragrance. The Vape of the E-liquid Cigar is exceptionally strong to daze you off and create a real cigar experience. 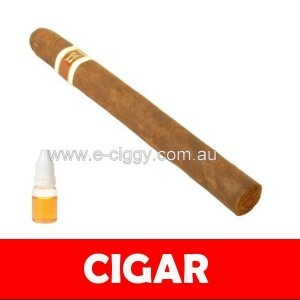 The blend of Cigar flavours in the E-liquid Cigar is known to create an everlasting impact on the mind and senses. Consumers will want to check out a few of the different starter kits that are available for purchase on the market. Buying a starter kit could be an appealing option for many of them because they can try out different types of juices before committing to one flavour. When buying kits in these starter kits, it is good to look through the different versions to see which will work best for you. Some of them actually offer them that have different nicotine strength levels right in one package. This can help users discover whether they need to try other sets of cigs when they make their next purchase decision. Some people may be interested in trying out some of the options that they can get when they link up with kits available to them. They may be able to check out how they can use these e-liquids to replace the extremely unhealthy tobacco ones that they are smoking. It is important to make a smooth transition from smoking traditional to smoking ecigs. Many users will want to test out a few different e-juices before they identify which strength level matches what they are used to. New users should try to test out non nicotine e-liquids because this may be more appealing to them. Every user should focus on getting whichever variety is right for their needs. Comment : It's great for the cigar smokers in your life.